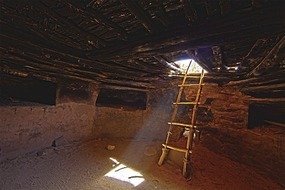 An in tact kiva in Southeast Utah. Utah’s Comb Wash and San Juan River Valley are filled with public lands, dramatic vistas, temperate weather, ancient ruins and amazing petroglyphs. All of it is seldom visited – and these are lesser known destinations that Steamboat Springs residents might consider moving to the top of their spring getaway lists. When mud season strikes the ‘Boat, warm days and cool nights are the daily forecast in the southeastern corner of Utah. For its infrequent visitors, the BLM still maintains several trailheads near the most important ruins, with various sidetracks leading to other places. 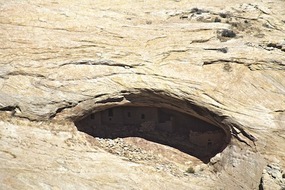 Speculation remains that ancient Anasazi sites are left to be discovered, since they could be hidden in the 50 or so canyons along Comb Ridge. The surrounding area is public land and free camping is permitted anywhere in the vicinity. 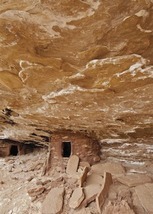 It is illegal to disturb ruins and campers are reminded to leave no trace in this delicate desert environment. The drive from Steamboat to Comb Ridge takes about six hours and takes travelers past Arches National Park, through Moab and near the Grand Staircase-Escalante National Monument. The region is so scenic, yet so under-explored, that we almost hesitate to share its secrets. 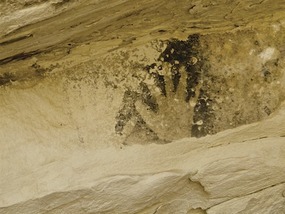 A well-preserved pictograph of a pair of hands: The carbon used by this artist has weathered well, compared to other pigments used in this area to create pictographs. One of the hundreds of perfect granaries that can be found in the Comb Ridge/ Butler Wash area, many of them still sporting the handprints of the mason who laid the stones in the mud. Here, the door plug is sitting right next to the opening. These plugs were custom-fitted and affixed with mud grout to keep the rodents out of the corn supply. Tim Stone is a local architect and photographer in Steamboat Springs. 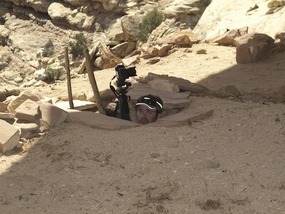 He can be found wandering in places like Butler Wash, Grand Gulch, or floating the Grand Canyon in mud season.